My visit to the Philippines, started with a trip to Jimenez for 8 nights. 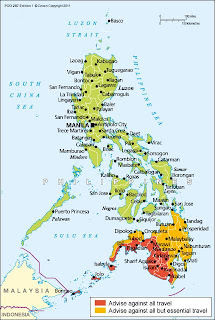 Jimenez, is in the province of Misamis Occidental on the island of Mindanao. I felt safe, received lovely welcomes and did not experience anything worringly or related to the various warnings by the British Government's Foreign and Commonwealth Office. On the FCO website the Government warns "Be aware of the risk of terrorist attacks to all forms of public transport: road, rail, sea and air. 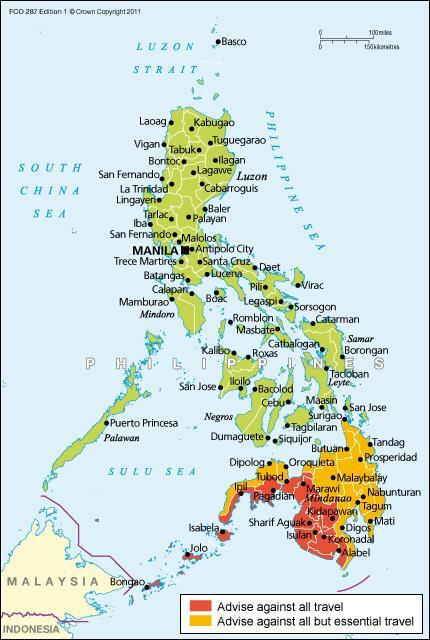 Terrorist groups have threatened to attack passenger ferries and other vessels, particularly those operating from Mindanao." If I had followed this advice, I wouldn't have used any transport within the country or indeed visited Mindanao. Its important I feel to recognise the seriousness of Government advice when travelling, to be responsible for your own safety but to make your own choices and not live life in fear of the unknown. Further advice about travelling to this region of The Philippines included "The overall level of the advice has not changed; we advise against all travel to south-west Mindanao and the Sulu archipelago; we advise against all but essential travel to the remainder of Mindanao"
I drove about the area, we visited towns and cities and it was safe, security was tight and at times a little too ridiculous, it felt safe. It is the first time I have visited a part of the world in contradiction of the advice of the FCO. I can't help feel that the advice on this website may well have mirrored guidance by Governments across world in respect of Northern Ireland during the 80's and 90's. Sometimes its ok to ignore the best intentions of others and take a few risks.